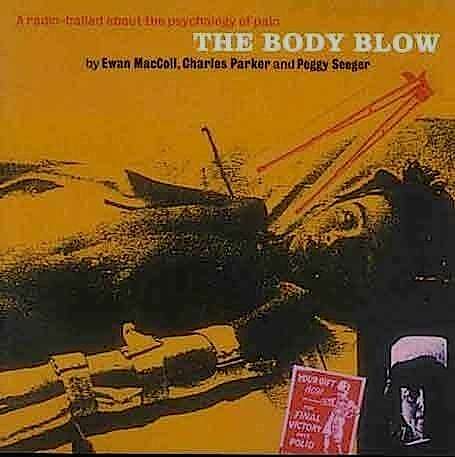 Entitled The Body Blow, this was the fifth in their innovative series of eight documentaries that combined the sound effects of actualité, the original voices of interviewees recorded in situ, and specially composed folk music by MacColl and Seeger. 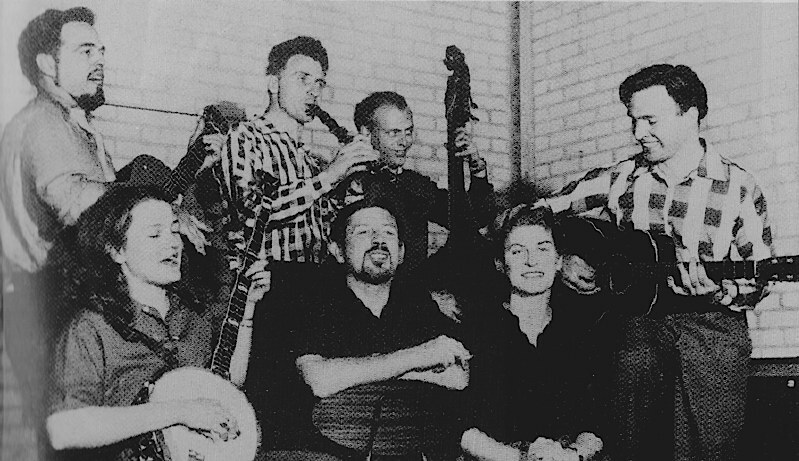 Subjects of the radio-ballads included the working class (train drivers, roadbuilders, fishermen, miners), but also some identity groups at the margins of society (the new teenagers, travellers, and, in The Body Blow, a group of adult polio survivors). Producer Parker explained that he was presenting ‘the intensely personal experience of a group of polio sufferers, with the intention of purging the healthy person’s somewhat atavistic fears of the grievously deformed or disabled’. Although criticised at the time and more recently, the actual music in this radio ballad has some moments of wonderful effect, notably in the section ‘Can’t breathe’, which juxtaposes the sound and rhythm of the ‘iron lung’ with a pared down instrumentation featuring English concertina (an instrument, of course, in which the sounds are produced by mechanical wind manipulation), and MacColl and Seeger’s contrasting voices singing lyrics in unison about ‘your friendly machine’. The machine’s rhythm sets the tempo for the song, while also faintly and pathetically evoking the sound of waves breaking on a beach; the concertina is played so tentatively that its introductory solo notes sound vulnerable, shaky, about to give way. The lyrics admittedly do veer uncertainly between precise well-expressed detail and sentimentality or melodrama, even in the same verse. This entry was posted in Academic, Disability and tagged BBC, Charles Parker, Dutchy Holland, Ewan MacColl, iron lung, Joan Littlewood, Peggy Seeger, polio, radio ballad, Salford, Salford Star, Shakin' All Over, Theatre Workshop on January 19, 2015 by George.